As the old saying goes, "knowledge is power," and the rise of the internet has created many opportunities to turn your knowledge into cold hard cash. 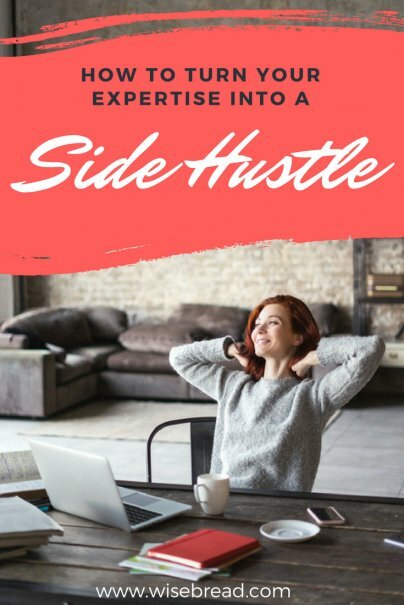 Maybe you're looking for a new career, or perhaps you're just looking to build a side hustle that will bring in a few extra bucks. Either way, selling what you know online could turn out to be a great little earner for you. It used to be that if you couldn't find a traditional publishing house that accepted your manuscript, then you'd have no other choice but to pay to have it printed yourself. Luckily, ebooks have blown the publishing world wide open and have enabled almost anyone to produce and sell a story directly to readers with very few costs attached. It also means that books are extremely quick to create. You can have your ebook ready to go not long after it's written. To go through Amazon, you can write the ebook in your normal word processing software, then format it with Kindle Create, and create a cover for it in a free design program like Canva. You can then self-publish it through Amazon's Kindle Direct Publishing. But for wider distribution, look also at NookPress and Kobo Writing Life, which are other self-publishing platforms. For the widest reach possible, it's best to publish with all of the major players rather than sticking to a single one. Hosting live webinar sessions allows you to share your knowledge to an audience without the need for them to be physically present. It's like a conference or seminar but done on a remote basis, saving learners the cost of travel and accommodation. The real benefit of webinars is that you can interact with your audience as you go, by allowing real-time questions or holding a Q&A session at the end. This ensures that everyone gets exactly what they want from the session. Webinars can be simple presentations carried out on Skype or even Facebook Live, but more advanced tools will allow you to create better, more engaging seminars. Google Hangouts is free to use and has numerous collaborative features perfect for hosting web sessions. For people with a sought after skill set that businesses want to access, online consulting works extremely well. There are many reasons why businesses prefer to work with online consultants rather than those who physically come onto the work premises. These range from not wanting to upset the workforce with an outsider's presence while still benefiting from a pair of fresh eyes, to the simple reality that it's often less costly to hire an online consultant while still receiving an expert level of service. It helps to have a niche skill that you have proven expertise in, as this will lend you much needed credibility. Getting started in online consulting can be difficult, so it's vital to use any and all contacts you already have to get your first break. Once you have your first few contracts secured, you will hopefully begin to get referrals or recommendations and see a snowball effect. Online tutoring is a great way to share your experience with people who want to learn one-on-one with an expert in their chosen subject. You don't need to have a degree in education, but you’ll need skills or knowledge in something that people are willing to pay to learn. Subjects like English, math, and science, are particularly in demand. However, it's possible to tutor online on other topics such as foreign languages (or English as a foreign language), or even learning an instrument. If you have knowledge that you want to spread far and wide, and know there's an audience there to lap it up, then an online course may be the right path for you. Online courses allow you to reach more people than you could on a one-on-one basis, both from a time perspective, and also because you can sell a course much cheaper than individual tutoring.